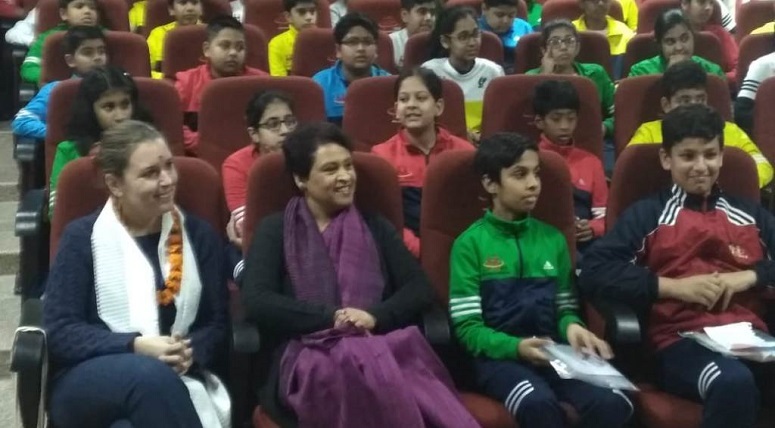 To promote universal brotherhood, Manav Rachna International School, Sec-51, Gurugram had undertaken Students’ France Exchange Program in association with Le Frehindi, Paris in October 2018 wherein 7 students accompanied by the Principal, Mrs. Pooja Puri participated in the program. 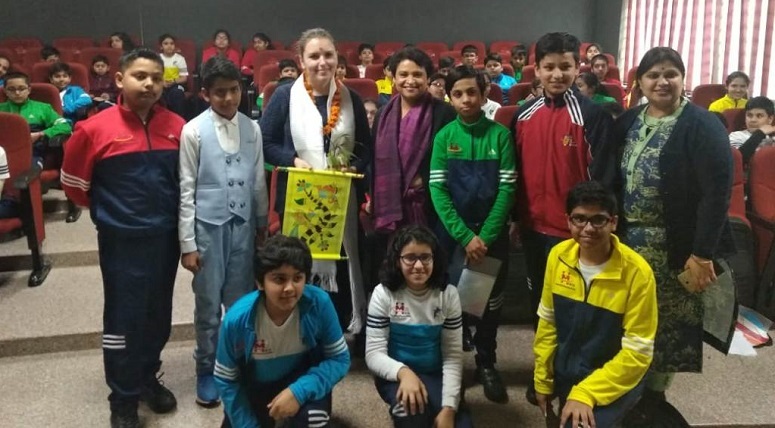 Ms. Emily Cooper from Lycée Jean Moulin, Lille, France, English Teacher at French Ministry of National Education visited India last week to meet the Principal, French teacher along with the students who visited France and other French learners. 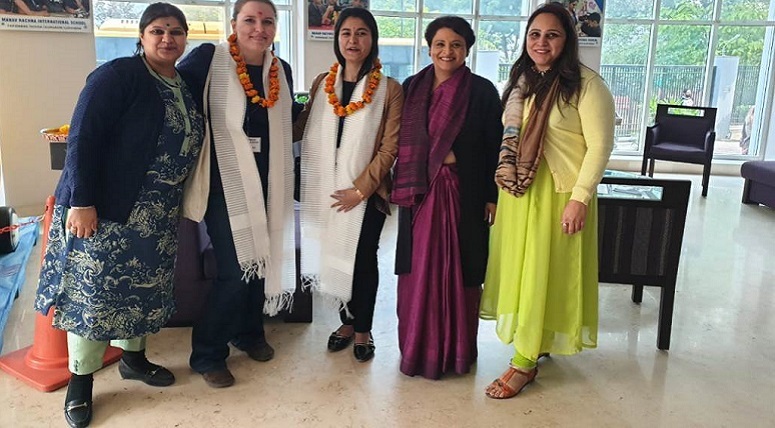 She visited the school wherein she was exposed to the rich Indian culture in a dance recital by students. She also addressed the students and expressed her elation at the determination of the young generation. She was presented a token of best wishes and gratitude.